Mrs May’s proposals, revealed at her Chequers country retreat in June, have been attacked continuously during the summer recess, both in the UK and Brussels, raising fears of a no-deal Brexit scenario. The EU’s chief Brexit negotiator Michel Barnier dealt the Prime Minister a significant blow last week when he said he was “strongly opposed” to key parts of her proposals for a post-withdrawn trade deal, warning Britain can’t “cherry pick” which Brussels regulations it wants to adopt on exiting the bloc. Mrs May wants Mr Corbyn to stand up and outright dismiss the possibility of a second Brexit vote. She says: “He should stand up and categorically rule out a second referendum. Mrs May said that the government is right to prepare for a no-deal scenario but is still hopful of agreeing a good deal. She says: “The director of WTO said no deal would not be a walk in the park but it would not be the end of the world. 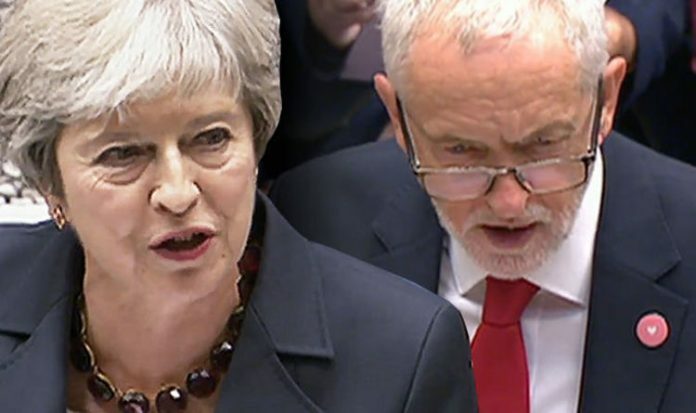 Theresa May begins by asking Jeremy Corbyn to apologise the anti-semitism crisis that has engulfed him and Labour.